Recruiting managers and employers often receive hundreds of resumes for a single job position. On average, recruiters will spend less than 10 seconds evaluating each candidates resume. With ruthless efficiency, hundreds of candidates are cut down to just a handful, who make it through to the interview stage. So if you want that job of your dreams, your resume needs to work hard in those first few seconds to reach out and grab that recruiting manager’s attention. 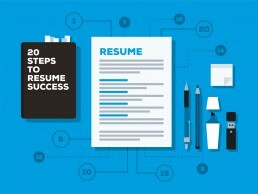 Our step-by-step guide will help you create your own effective, attention-grabbing resume. While we can’t guarantee you that perfect job, these tips will definitely improve your chances of being called in for an interview. Your resume is one of most important documents you’ll write in your professional career. It can help, or hinder, your future prospects and be the difference between success and mediocrity. These 20 professional tips will help position your resume on the path to success. To that end, your resume must be strategically targeted to each individual position for which you apply, and that targeting should begin at the top of the document. Your resume should accentuate the attributes that qualify you for each position for which you apply. When it comes to your resume, content is king. However, if that content is badly presented it may never get a second glance. Remember, your resume has less than 10 seconds to create that all-important first impression of you. It should add confidence and credibility to the information it presents. This is the approach we put into practice when designing resume templates. There are many design templates available for resumes. The best ones are not only impressive looking, they are easy to edit and customise – allowing your resume to appear tailor-made just for you. An effective resume must be re-designed for each job application, consider using more than one design to test which works best in your marketplace. When creating a resume, we sometimes concentrate on areas like education and experience and forget the smaller, yet equally important, details. Always ensure that your name, address, contact email, and personal phone number are clearly shown on your resume. Avoid using your company email or company phone number. You want every detail of your resume to present you as a professional. Email is free, so consider creating a new account just for your job applications. This will help you keep track of all your applications and responses. Avoid using email addresses with nicknames. Use modern email services such as Gmail, instead of older or less popular services. Instead of using addresses such as Johnboy91@hotmail.com, present yourself more professionally as JohnSmith@gmail.com. The length of your resume depends upon a number of factors. Naturally, the resume of a 23-year-old recent college graduate will be shorter than the resume of a 45-year-old with decades of experience. Due to time constraints, some recruiters insist upon single-page resumes, but they rarely object to the attachments. Submit a one-page, job-targeted summary resume then attach a more in-depth detailed resume. For creative positions, you might also add a portfolio of your work. Introduce your resume with a brief summary of your professional career to date. Make your statement correspond well with the focus of the target job, and make sure it underscores your interest in the type of work for which you are applying. Don’t be bashful, be bold. Your future depends upon how well your sell yourself with your resume. Your resume is an advertisement for you, so use it to market your relevant skills to your future employer. List all of your employment; begin with the most recent and work backward. Edit your experience to concentrate on those positions particularly relevant to the job for which you are applying. Remember that your resume is a means advertise yourself, and not a call to justify your life. Keep it short. You may remove early experience that is not relevant to the job you are applying for. Focus on recent and relevant positions or experience. Remember to accentuate your good points and minimise any weaknesses. As you record your work experience, don’t be too modest about your successes. Be brief but thorough. If you supervised others, say so. If you increased profitability for your employer, let that be known as well. Be truthful and sell yourself. If you are a recent college or university graduate, begin your resume with your education section, because obtaining a college degree signals the recruiter that you are beginning a new career path. Once you have obtained some relevant work experience, however, your resume should begin with your work experience. Employers are most interested in your work experience and your accomplishments, but you always lead with your best shot. Recruiters want to know what specific tasks you have performed. Vaguely worded job descriptions don’t gain attention, and they fail to enlighten the recruiter about your real talents and experiences. Don’t simply list your job title and the everyday tasks involved in it. Include your accomplishments in that position. If you worked in a supervisory position, include the number of employees you supervised, including their positions. Again, a recruiter wants your resume to quickly answer the question, “What can you do for us?” So, use specifics to answer that question, be honest and make sure it shines through on your resume. Some recruiters use software to scan resumes for keywords. These programs automatically sort through resumes and applicants can be rejected without a human ever seeing the application. Make sure you carefully study the job description of the position for which you are applying to determine the keywords the recruiter used; use those keywords frequently in your resume. Use the exact keywords and place them prominently in your introductory statement. Recruiters are not impressed by big words and fancy phrases, nor are they willing to take the time to read an epic novel entitled, “Resume.” Use bullet points and short sentences to describe your experiences, educational background, and professional objectives. Doing so helps the reader focus on the key points and helps keep your resume short. Help prospective employers understand not only your past job responsibilities but also how well you carried out those responsibilities, why it mattered, and how you can transform your past achievements into this company’s success. Remember every recruiter or prospective employer is looking for an answer to the same question: What can you do for us?. Instead of stating, “Managed a team of 10 that studied and revised the production flow-chart,” consider using, “Managed team of 10 studying and revising production flow-chart, resulting in company savings of $230,000 annually, while increasing product quality by 26%.” (Also notice the removal of articles – words such as “a” and “the,” which add nothing but unwanted length to your presentation). Take your resume to the next level with additional information. Your awards, volunteer work, publications, affiliations, and hobbies provide opportunities for you to add additional weight to your resume. Not only do these activities help define your character, they may also assist in creating a personal bond with the recruiter or prospective employer. Take the time to create a unique cover letter for each job application. To make the cover letter effective, always envision yourself as the recipient of your letter and its attached resume. Think carefully about what would create a positive response from you. Remember that your cover letter and resume are advertisements for you. Don’t use ‘Dear Sir/Madam’. A recruiter is far more likely to continue reading your cover letter when it begins with his/her name. Do your homework. Learn the name of the individual to whom you are addressing your letter. A quick search online or phone call to the company or organisation can often provide the name of the person to whom you are applying. Research the company to understand its current issues, and attempt to address those issues in your letter, along with any potential solutions or your relevant experience. Show personal enthusiasm for your work, and remember to keep the letter short and sweet. If you haven’t already done so, create a Linkedin profile for yourself online, and make sure it is up-to-date, yet different from your resume. Prospective employers often search there to learn more about you and potentially contact common connections to increase that knowledge. If the information they find is precisely what they see on your resume, you may appear to be lazy or disinterested. Build an online business presence for yourself. Prospective employers will do an online search to learn more about you, and having your own active website/blog and business related social media accounts with relevant professional information improves your chances of earning an interview. This is the age of digital media and with few exceptions, your cover letter and resume will be submitted electronically either via email or uploaded on to a website, so it is essential that they are saved and submitted in a format that will allow easy access by the addressee. Saving your resume in Adobe Acrobat (pdf) format, will ensure your resume looks the same to the prospective employer, or recruiter, as it does to you. PDF files can be opened on any device with the freely available Adobe Acrobat reader, which is often installed on business systems. If you want to make yourself appear obsolete and out-of-touch, just don’t update your resume. A tired or non-current resume will never get you that job of your dreams or even the one you are qualified to do. 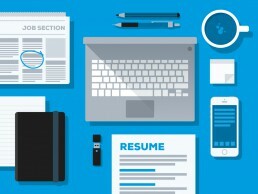 Your resume should be contemporary in both content and design. Make sure to keep the skills and work history sections of your resume updated at all times, and check to make sure your software and other technical skills are up-to-date as well. 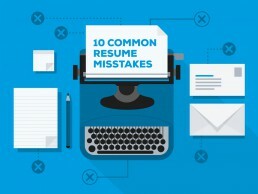 Following are 10 common resume mistakes to avoid, thereby improving your chances of graduating to the next step in the hiring process – the interview. Every job for which you apply is somewhat different, and your resume should take those differences into careful consideration. Don’t let your resume get thrown into the trash because you failed to adjust your resume to the specific position for which you are applying. Lying on your resume is stupid. Even if it is not picked up straight away, you will eventually get found out and this often leads to dismissal or other serious consequences. Fact-checking resume information is easy with online search tools and phone calls, so just stick to the facts. The story of your life may be the basis for an epic novel, and we are certain it’s enthralling, but a prospective employer won’t be interested at this point. The word “resume” means ‘to summarise,’ so make your resume do exactly that. 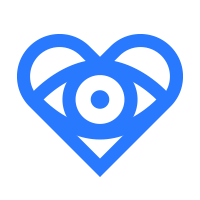 Limit the information you provide by keeping a laser focus on the most relevant experience and minimise or leave out completely experiences of lesser importance. Recruiters and employers will most likely have an online presence, so there is just no excuse for not finding the name of the person to whom you are sending your resume. Making that effort will help get you noticed, and help to prevent the immediate destruction of your resume. Sample cover letters and resume texts can easily be found online, and you may find it tempting to simply copy-and-paste them into your own letter or resume. Recruiters are looking for your history not someone else’s, so use your own words to tell that story. Don’t discount yourself by using slang words, business jargon, and clichés in your resume or cover letter. Lazy language never resonates with recruiters, so to use it can result in immediate rejection of your resume. Use proper words to create the sentences that introduce you. It is almost certain that a prospective employer will conduct an online search to learn more about you. To that end, it is a good idea to ensure that any social media accounts you have are free of any information that might be potentially damaging to your job application. Avoid adding irrelevant work experiences and hobbies to your resume. They only serve to defeat the purpose of being your resume being effective. Sometimes, adding a small picture within your resume is helpful. Choose a photograph that makes you appear professional, and one that is relevant to your specific industry. No selfies with friends, while on holiday. Modesty on a resume is neither expected nor desired. Employers want to see the best you have to offer, and they expect you to try to sell yourself to them. Within your resume, share any awards or recognitions you have received, but try to do it in a matter-of-fact manner. You’re almost there. You have chosen a great design, you have assembled the needed information, you have struggled to choose strategic wording, and you added all the text to the resume. 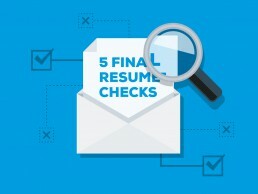 Before you submit your resume, use this checklist of the final five items you must always check before submission. Spelling errors are a common reason for application rejection. Your computer software includes a spelling checker. Use it. If you provide an incorrect phone number or email address for yourself, a prospective employer will likely be unable to reach you for that important interview. Nobody likes to have his/her name misspelled. Show your prospective employer the courtesy of making sure that his name is spelled correctly, and that the address is recorded correctly on your email and cover letter. Just to be sure everything is correct, proof-read your resume, and then read it aloud to catch any unnoticed typographical errors. Enlist the assistance of a professional person, instead of a relative or partner, to read your resume in order to gain unbiased feedback and point out possible improvements to your cover letter and resume. If the above information is insufficient for your needs, listed below is a selection of additional resource links which might prove to be helpful. Where to find great Resume templates? This article is available as free E-book.